More than a century ago, the Triangle Shirtwaist Factory in New York City was a notoriously anti-union company and the focus of several job actions and union organizing. This sweatshop was a death trap. On March 25, 1911, a horrific fire broke out there. Doors were blocked and fire escape exits were locked. The sole fire escape broke as workers fled. Firefighters’ ladders did not reach the top floors. The result of this needless tragedy: 146 workers died, 129 of them women ages 16 to 23. Company greed caused this avoidable disaster. Yet Triangle owners were acquitted in court for responsibility in the deaths of these precious young people. The value of each human life was assessed at only $75, paid to the grieving families who sued the company. This fire and terrible loss of life shocked workers and other progressives. Protests followed. Hundreds of thousands of people joined a funeral procession organized by the International Ladies Garment Workers Union on April 5, 1911. The Women’s Trade Union League demanded fire safety legislation. 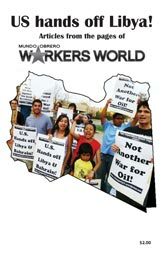 Due to pressure by labor activists, New York state investigated factory conditions and implemented workplace safety rules. This writer’s grandmother was a garment worker at the Triangle Shirtwaist Factory. I submitted the story below about her, along with a piece of fabric, for inclusion in historical archives about the Triangle fire. The fabric will be incorporated into a 320-foot-long, 2-foot-wide ribbon, comprised of hundreds of pieces of fabric memorializing the disaster victims. They were contributed and sewn together by participants in a collective ribbon-making session at Manhattan’s Fashion Institute of Technology on March 16-17. Initiated and coordinated by the Remember the Triangle Fire Coalition, the ribbon will then be cast in metal, forming the main element in the permanent memorial to be mounted on the Brown Building facade, site of the fire. The group organized the two-day commemorative event that included poetry, music, panel discussions and family memories. “My grandmother, Sophie Stoller Bubrick, and my grandfather, Paul Bubrick, arrived in the United States in 1907, having fled anti-Jewish pogroms in their country, Poland, which was then occupied by imperial Russia. “My grandmother worked at the Triangle Shirtwaist Factory for several years after her arrival in New York. Always an organizer and activist, she was the person to whom the workers came with grievances against sweatshop bosses, as she was not intimidated by anyone. “My grandmother participated in the March 8, 1908, march of 15,000 garment workers, mostly immigrants, through New York’s Lower East Side. They marched for better working conditions in the sweatshops, an end to child labor, higher wages and the right to vote. “From November 1909, to February 1910, my grandmother participated in the ‘uprising of the 20,000,’ garment workers who struck against three companies, including Triangle, to oppose sweatshop conditions. The strike was initiated by Clara Lemlich, age 19, a Russian Jewish immigrant, and backed by the International Ladies Garment Workers Union. My grandmother had to walk from the Upper West Side to downtown Manhattan to join the picket lines, as she had no money for transportation costs. “Then in 1911 the Triangle fire raged, killing mainly Eastern European Jewish and Italian immigrant women and girls. My grandmother did not go to work that day due to illness. But she lost many young friends. The days of on-the-job injuries are far from over. Conditions are hazardous for the 700,000 women agricultural workers in this country, exposed to pesticides, heat stroke, dehydration and sexual abuse. Factories, including poultry and meat-processing plants, are dangerous places to work, especially with speed-ups. Hospital, restaurant, hotel and domestic workers face harm, too. Capitalist production is aimed at maximizing profits; workers’ well-being is not the bosses’ concern. This is evident in the super-exploitation of workers in the global garment industry where safety and health are disregarded until a horrible disaster unleashes workers’ fury and world outrage, sometimes bringing reforms. Conditions in Bangladesh’s garment industry are not so different from those at the Triangle factory. Windows, doors and exits are blocked. Fires occur with regularity, including one on March 4 in Dhaka, which injured eight people. The company, Anzir Apparel Ltd., has been allowed to operate by so-called national inspection bodies, having repeatedly failed to address safety concerns, said the Clean Clothes Campaign on March 6. About 80 percent of the 4 million workers in Bangladesh’s 5,000 garment factories are women. They are among the world’s lowest paid workers, exploited by Western brands, who pay little for the products of their labor and care little for their health. The industry annually exports $30 billion worth of clothes to U.S. and European retailers. 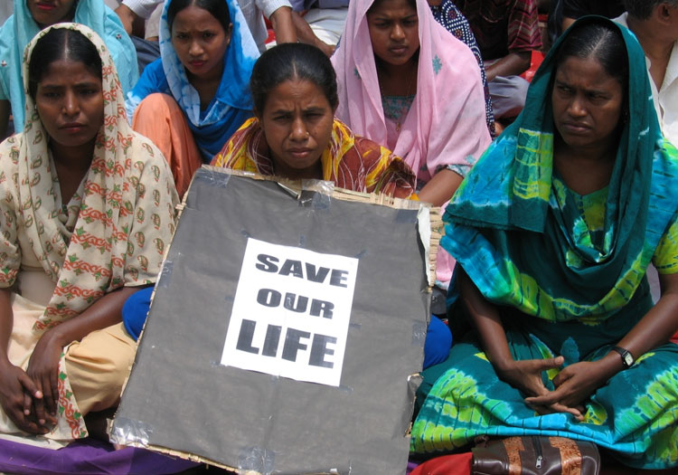 The deadliest garment industry catastrophe in history occurred in Dhaka on April 24, 2013, when Rana Plaza, an eight-story manufacturing complex, collapsed, killing 1,138 people, mostly women, and injuring 2,500, many permanently. Although some safety measures were implemented afterwards, they are continually endangered by pressure from profit-driven global brands and a pro-corporate government.